Niche Article Writing and Posting from only $5. Niche Relevant Links are now the Powerhouse of SEO. 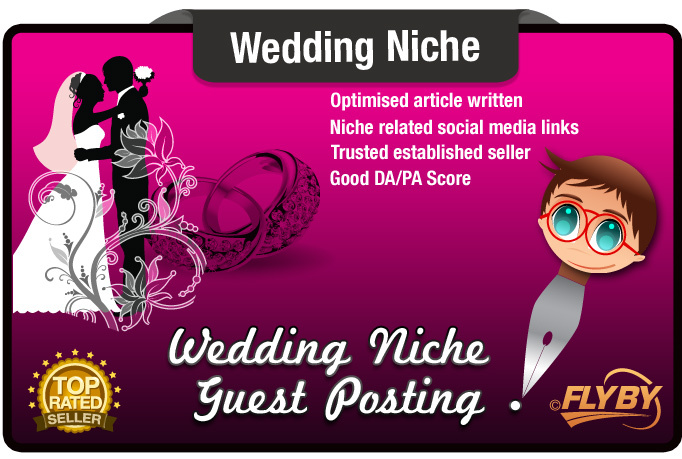 We will write a 200 - 250 word niche related guest post based on your keyword. We then publish it on one of our niche related sites. FREE BONUS included. We write the article for you! Yes, we Write and post the article for you! Top rated seller of over 3 years with 5000+ completed orders and 100% feedback. You are in safe hands. Good PA/DA score on all of our sites. Multiple Niches - We have multiple niches and niche match your content. Free Bonus - Free bonus on every order. All That For Only $5! Check out our Gig Extras for more Blog Posts and Lists!